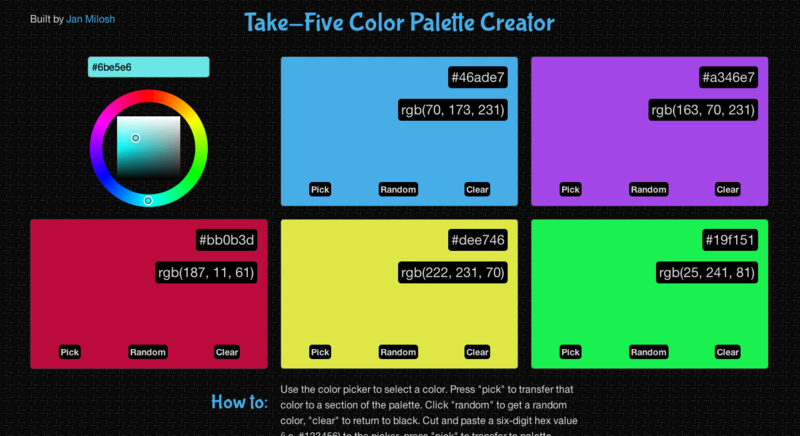 The idea for my Take-Five Color Palette Creator came from the desire to create a color picking tool that I could really use on projects. With the ability to choose (and keep) five colors on the screen at once, this application has practical value for anyone trying to come up with a color palette. If the user doesn’t care for a chosen color or wants fewer colors appearing, the clear button on each block brings the color back to black.